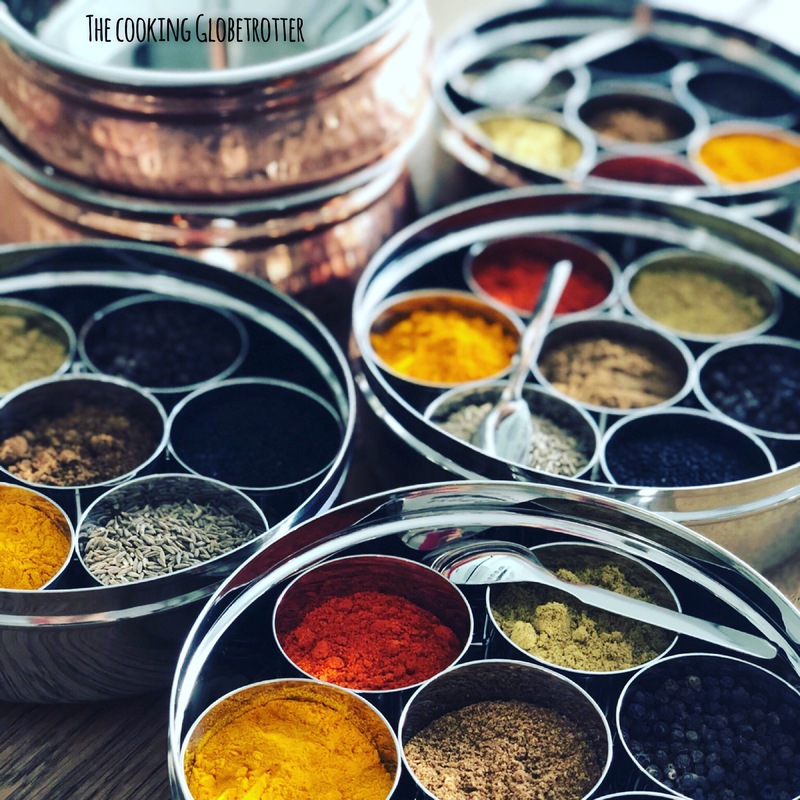 There is something incredibly fascinating about the Indian kitchen: all those spices, the colours, flavours, everything is so bold, intense and delicious. 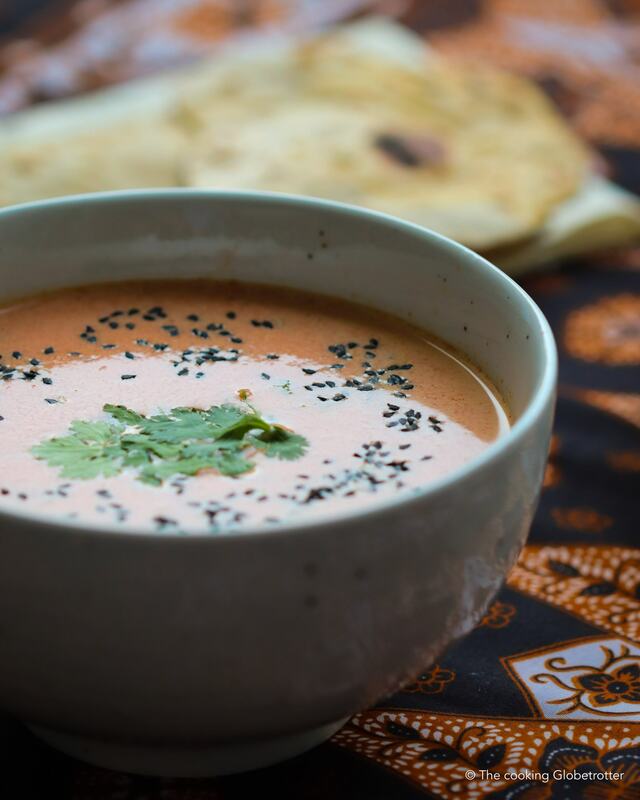 So, when I was looking for soup and came across this recipe on the cookbook “Red Dot Melting Pot” (written by many of my dear friends and culinary sisters, the ladies of the International Cooking Club Singapore – ICCS) I knew, I found what I was looking for! Thanks to Neha Srivastava Saxena for passing down your family recipe and sharing it with us! I made some minor adjustments to meet our taste, the original recipe can be found in the book, along with a huge collection of family recipes from around the world. 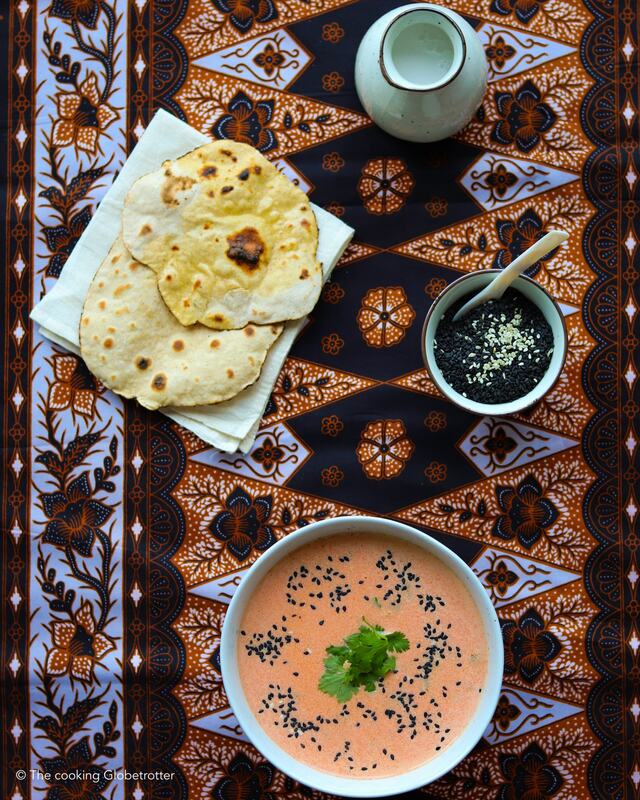 I served the soup with homemade Chapati, a flatbread made of Indian wholewheat flour (called Atta) and water, rolled out thin and cooked quickly on a cast iron pan and finished directly on the burner. This will make it puff up, it’s then brushed with melted butter, ghee or olive oil for more flavour. Thanks, Brinda for showing and teaching us how to make this lovely bread! In a large pot boil some water (enough to cover the tomatoes). In the meantime wash them and with a sharp knife cut a cross in the skin of the bottom of each tomato. Dip them in the boiling water and cook them 1-2 minutes, take them out and remove the skin (careful, hot!). Strain through a sieve. 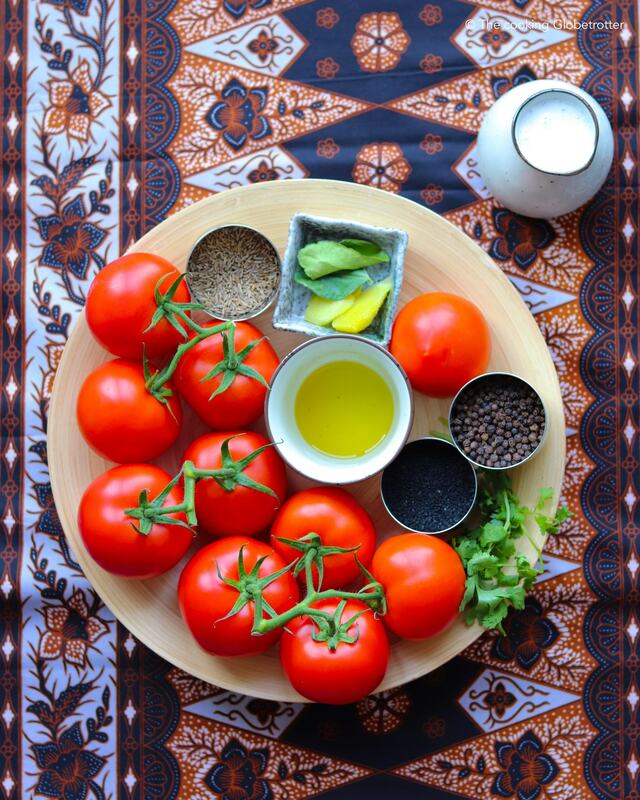 If you can’t find good tomatoes or want to take a shortcut, you can use 1 litre of plain tomato sauce instead of following instruction 1 to 5. Heat up the olive oil (2 tbsp), add the cumin seeds (1/2 tsp), mustard seeds (1/2 tsp) and ginger (1tbsp) and let them sizzle. Pour in your pureed and strained tomatoes or the tomato juice. When it starts boiling, add the coconut milk (250ml) and reduce the heat. The soup is ready when it starts boiling again. Finish with salt, pepper and the keffir lime leaves (or lime zest). Pour in individual bowls, sprinkle with black sesame seeds and fresh coriander leaves. Enjoy with Chapati, Naan or rice. The idea to pair Chapati with soup was mine. Traditionally Chapati is eaten with stir-fried veggies, lentils and curries. Soups are common in the northern part of India where they might substitute salads as a side dish and are generally served with bread rolls, thick bread slices or breadsticks, accompanied by (garlic-)butter. Thanks to my friends for clarifying this and for bringing to my attention the incredible variety of Indian bread.. enough to fill up one or even more Blog posts! Let’s see if I have the chance to explore this further, would be intersteing, don’t you think? Feeling hungry? How about complementing the soup with homemade Naan bread or a lovely butter chicken? All recipes on the blog in the from India section! Danke dir Ina! Geht auch recht schnell! Guten Apetit! Danke dir Aniko! Das freut mich sehr!